Lovage is an ancient natural detox remedy, yet many people these days probably haven’t even heard of the herb. Lovage helps expel toxins from your body and can be made into a herbal tea or added to various meals throughout the day. 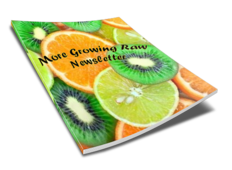 It also has reputation as being a useful body cleanse weight loss herb. Lovage has yellow-green flowers and leaves, long hollow stems and fleshy roots. All the parts can be eaten. It resembles celery in appearance and taste, but has a much stronger flavour. In addition to being a natural detox remedy, lovage can be used to treat flatulence and colic, as a sedative and to treat fevers. 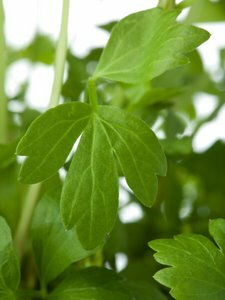 Don’t use lovage if you’re pregnant or have problems with your liver or kidneys. Place lovage in tea pot. Pour over boiling water and place lid on pot to contain volatile oils. Strain into a cup and flavour with honey if desired. Lovage plants can be grown from seed in Spring or by division in Spring and Autumn. Lovage is a perennial plant which simply means it lives for longer than two years, although it dies back in Winter. Mature plants can reach 2 metres tall. It prefers some shade and being kept slightly moist in a humus-rich soil. drying the leaves hung upside down in bunches. drying stems and seeds on drying racks. drying stems and seeds at a low temperature in the oven. Leaves and stems can also be frozen. The easiest way to do this is to chop fresh leaves and stems finely and place in ice cube trays. Top with a little water. Once the lovage has frozen into cubes, transfer into freezer bags and label clearly with the name and date the herb was preserved.